Goosebumps‘ Dylan Minnette has been cast as Clay in the 13 Reasons Why TV show at Netflix. Based on the 2007 novel by Jay Asher, the series comes from from producer Selena Gomez, writer-creator Brian Yorkey, director Tom McCarthy, Anonymous Content, and Paramount TV. Fans of the Lost TV series on ABC will recognize Minnette as Jack Shephard’s son with Juliet Burke (Elizabeth Mitchell) — David Shephard — in the “sideways” reality of the sixth and final season. His other TV series work includes Scandal, Agents of SHIELD, Awake, and Saving Grace. Katherine Langford, a new Australian actress, has been cast in the role of Hannah Baker — she of the 13 reasons. The 13 Reasons Why TV series cast also includes: Brandon Flynn, Christian Navarro, Alisha Boe, Justin Prentice, Devin Druid, Miles Heizer, and Ross Butler. 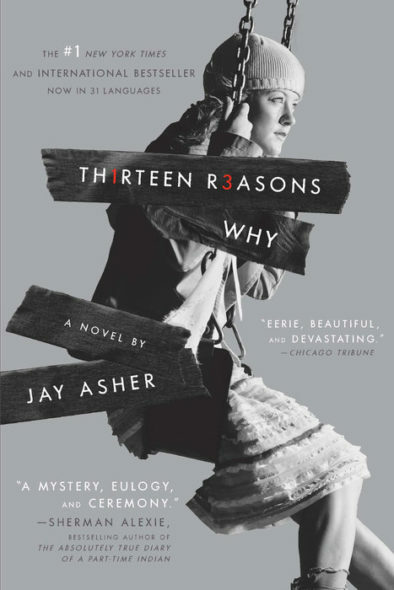 13 Reasons Why image courtesy of Penguin Random House. What do you think? Have you read the novel? How do you like the 13 Reasons Why TV series cast, so far? Do you plan to watch the first season when it premieres on Netflix? More about: 13 Reasons Why, 13 Reasons Why: canceled or renewed?, Lost, Lost: canceled or renewed?, Netflix TV shows: canceled or renewed?